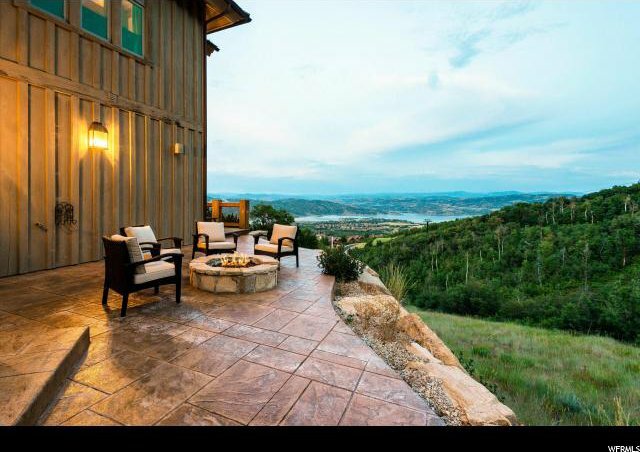 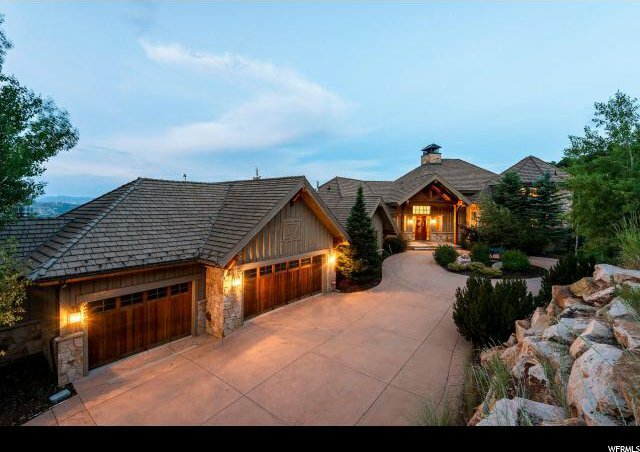 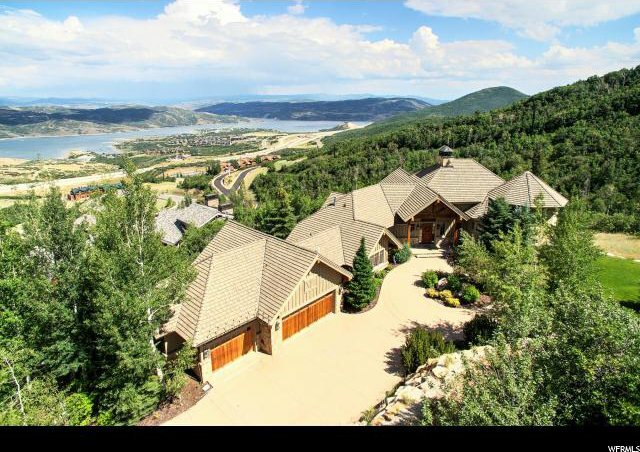 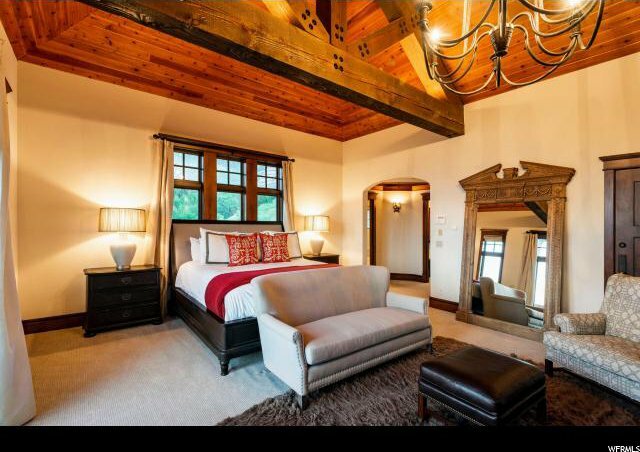 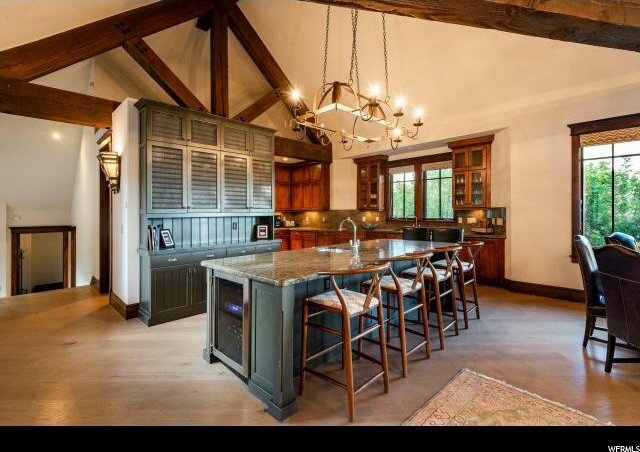 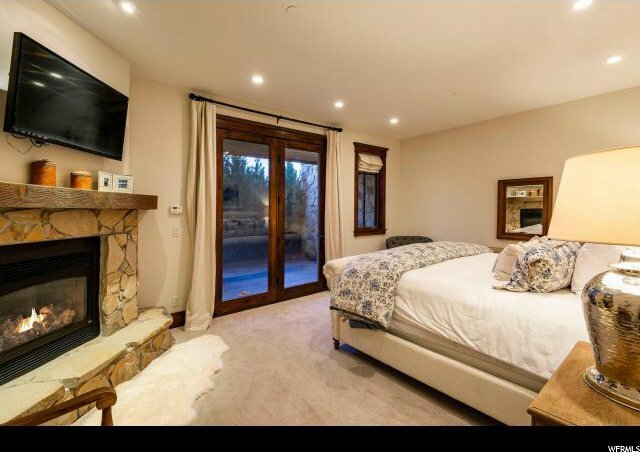 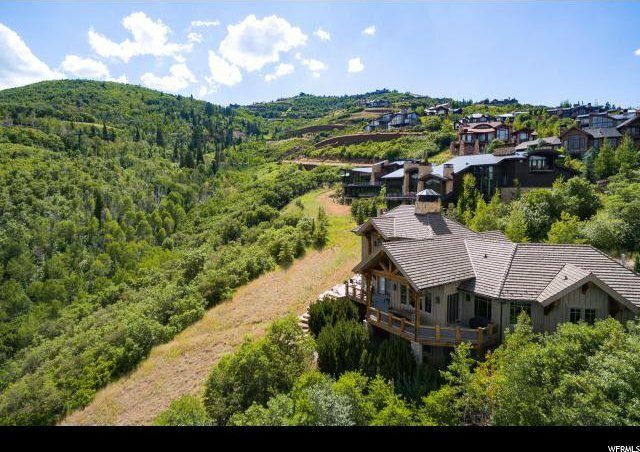 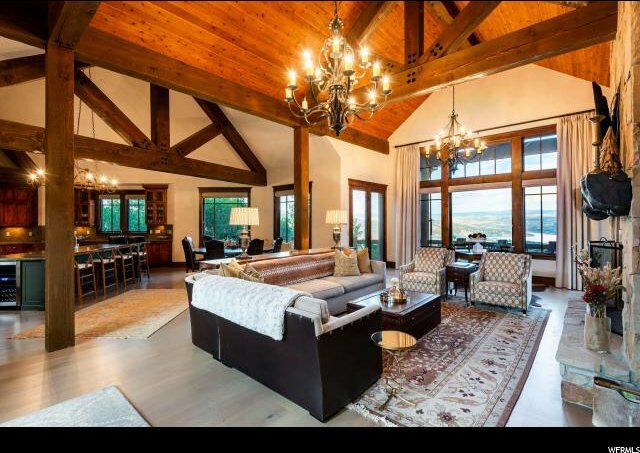 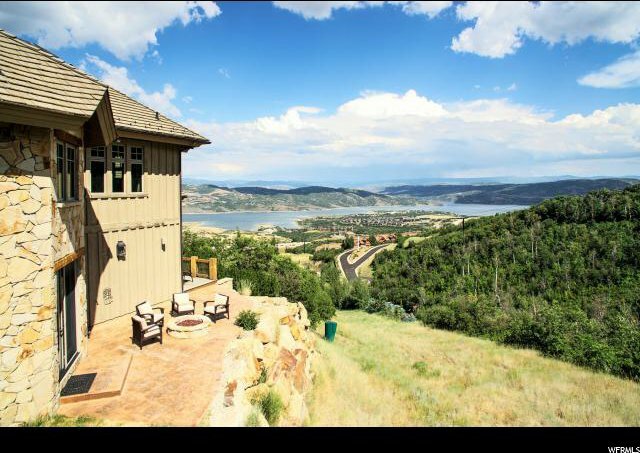 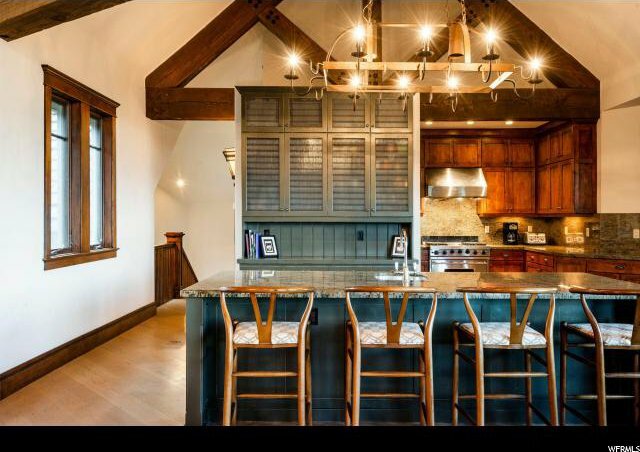 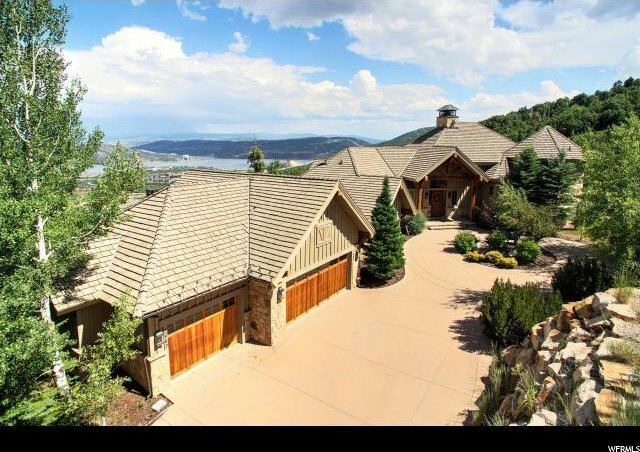 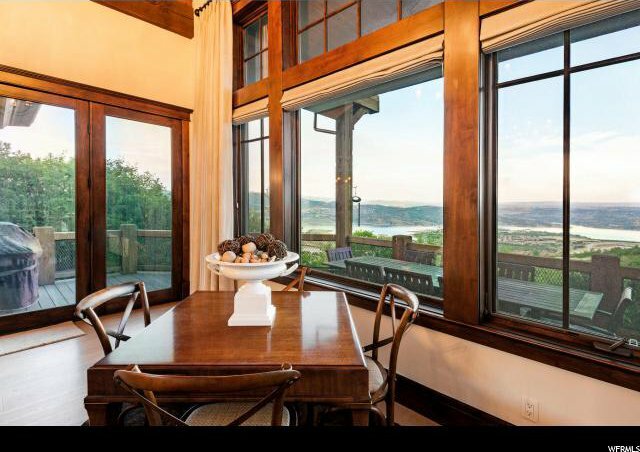 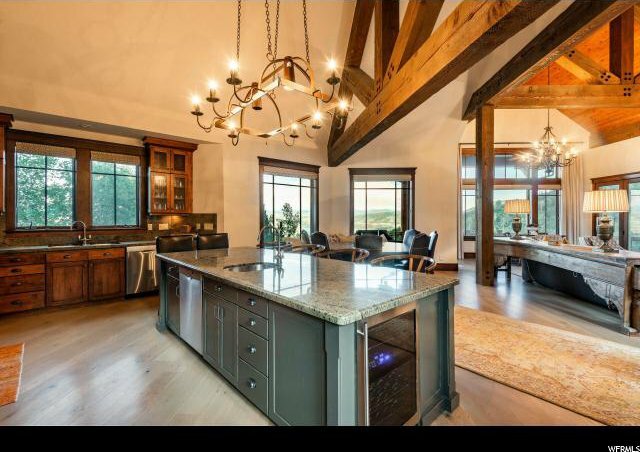 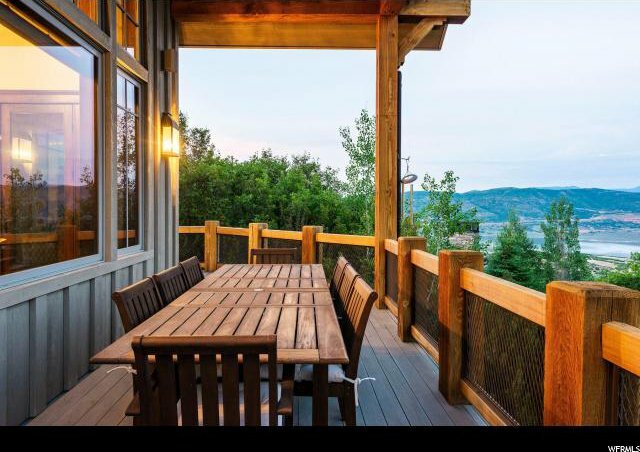 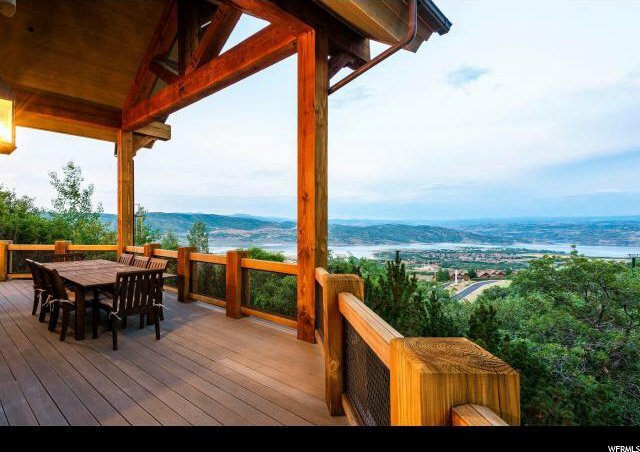 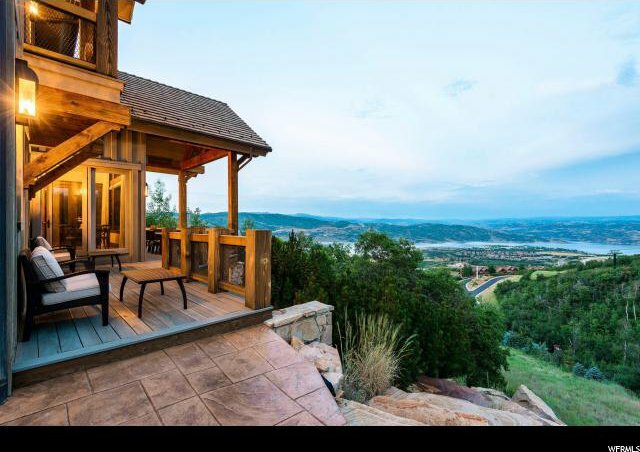 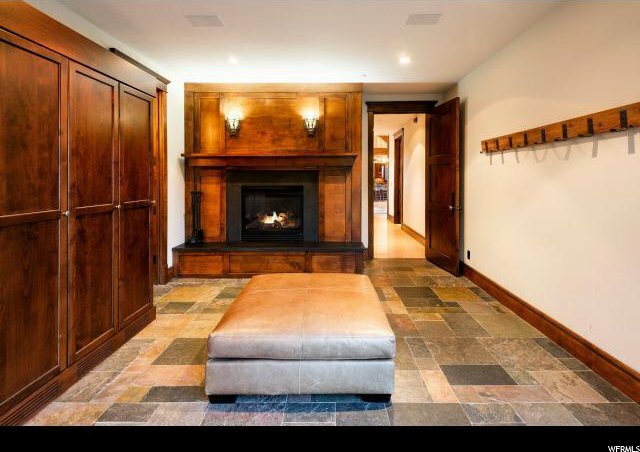 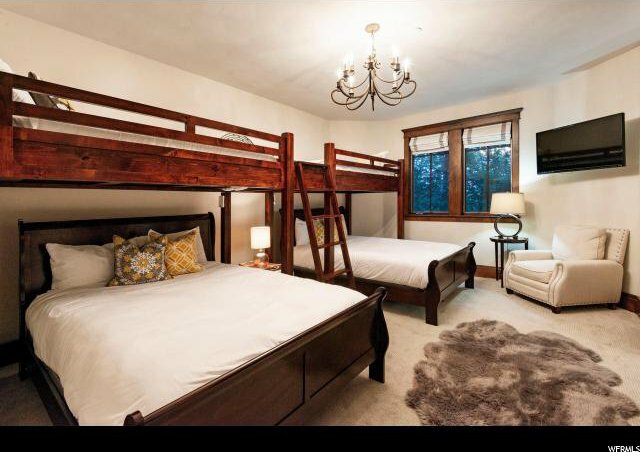 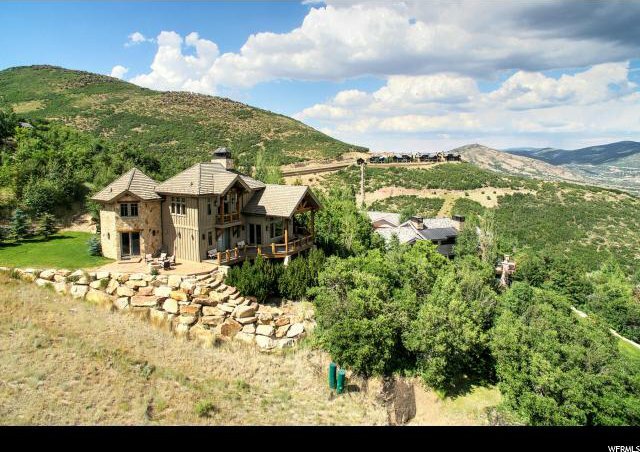 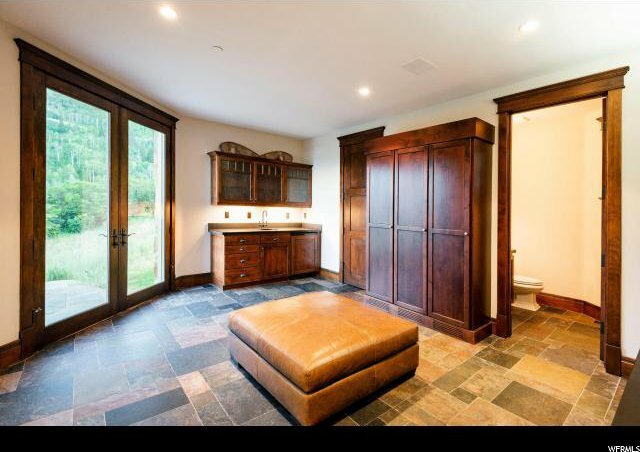 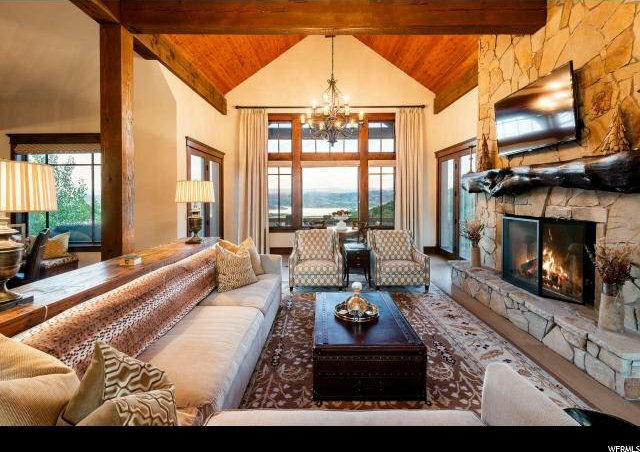 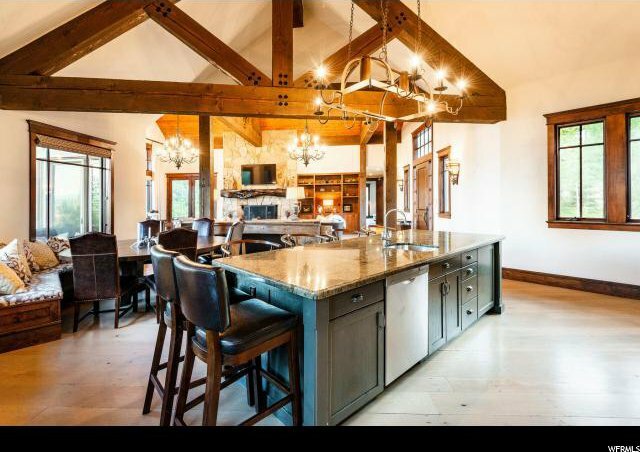 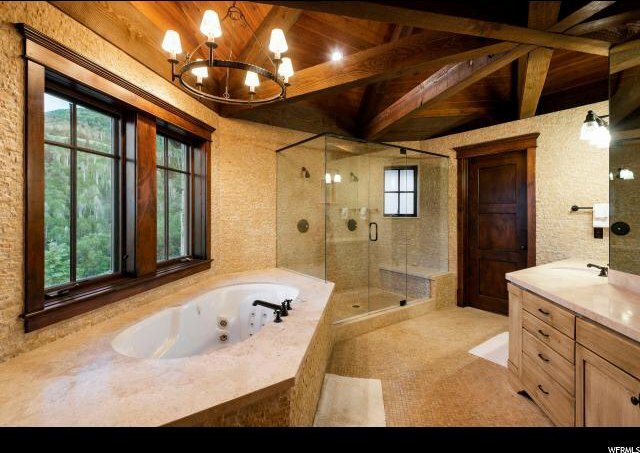 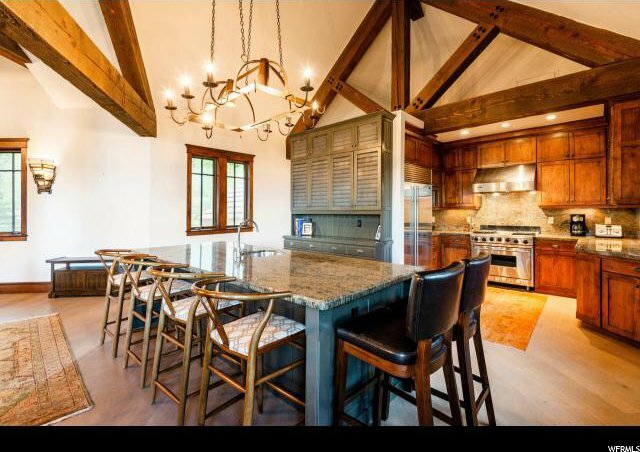 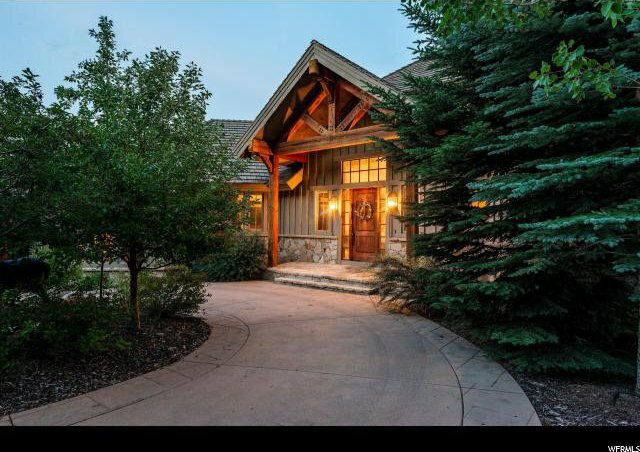 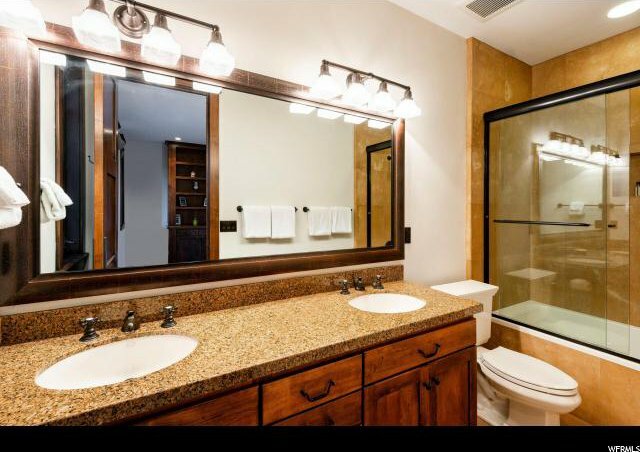 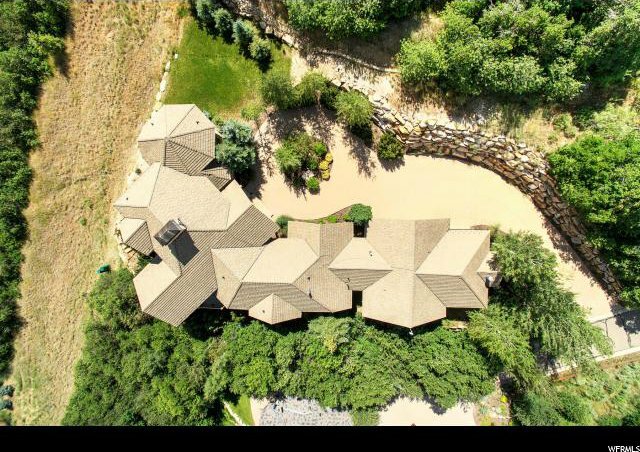 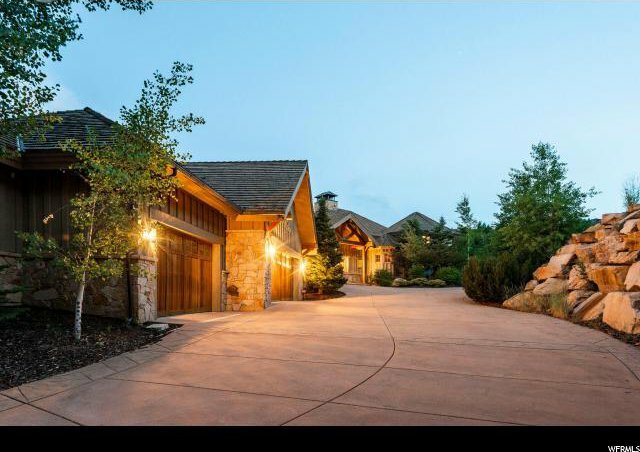 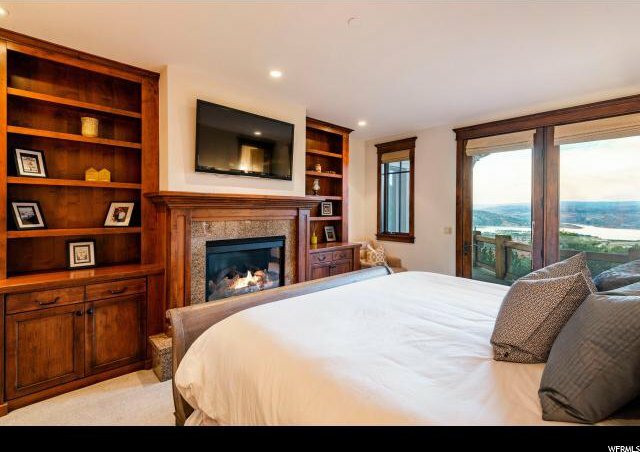 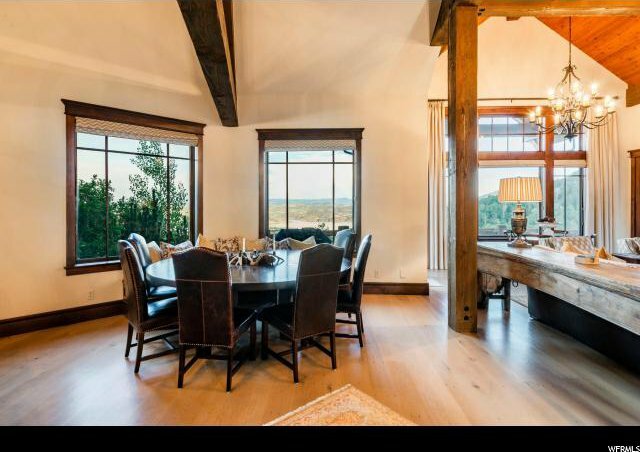 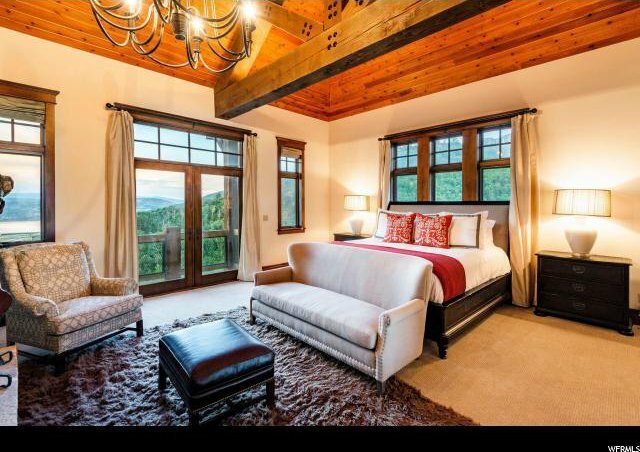 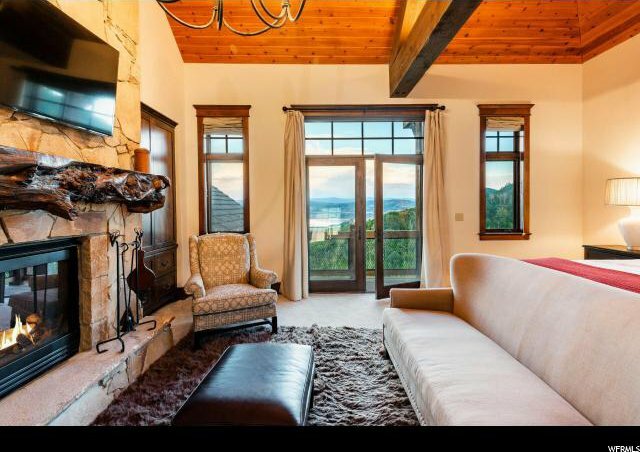 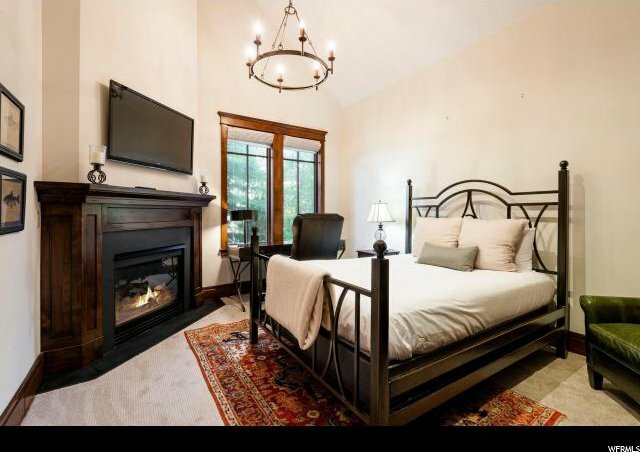 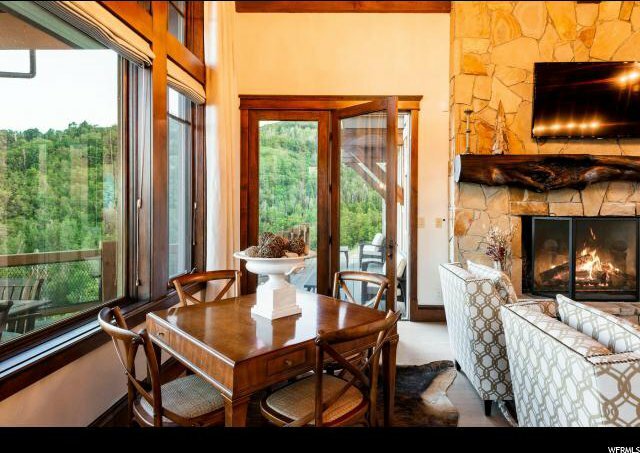 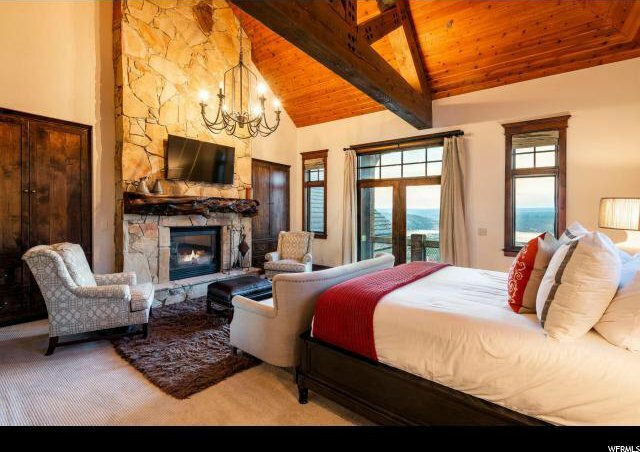 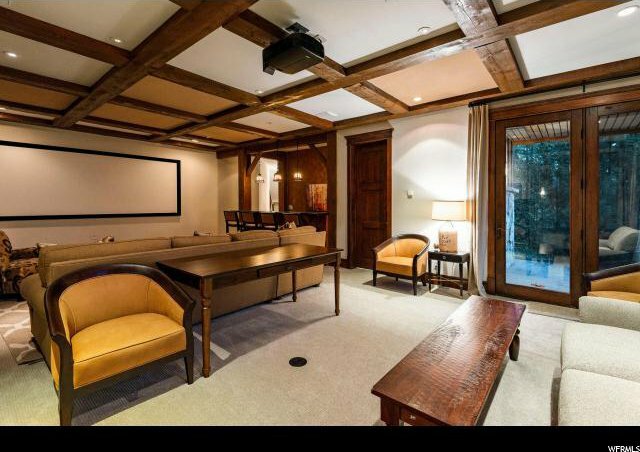 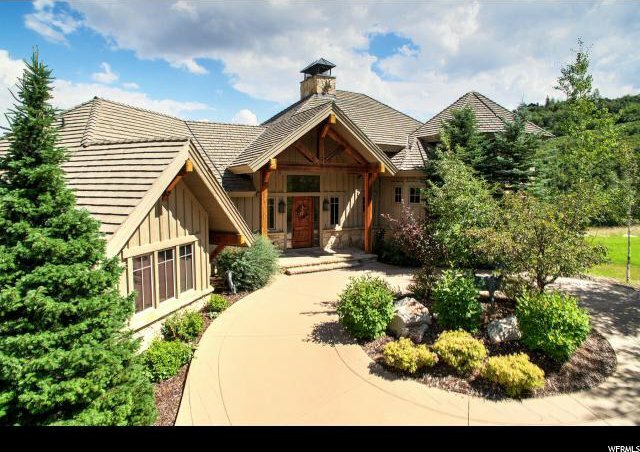 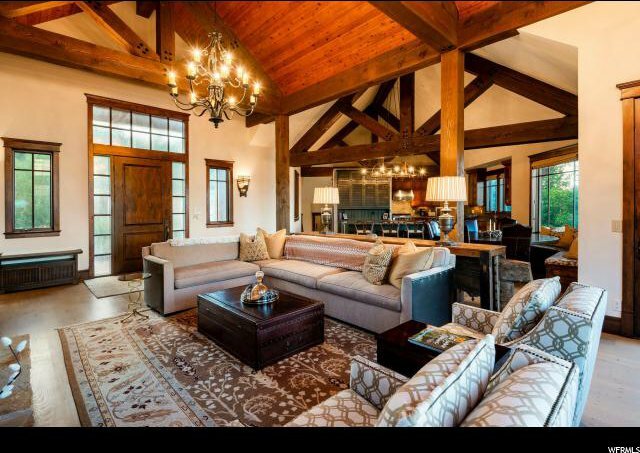 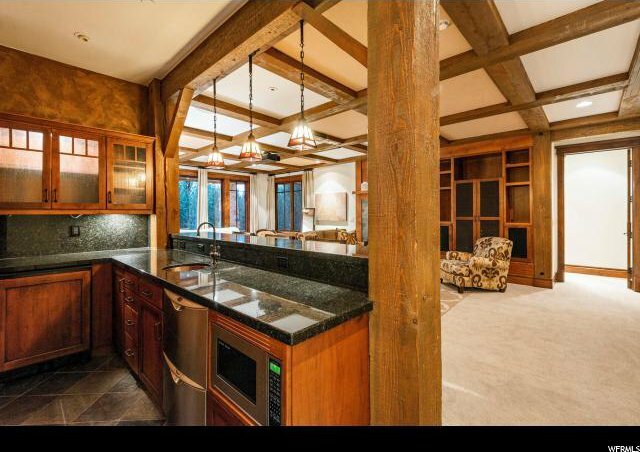 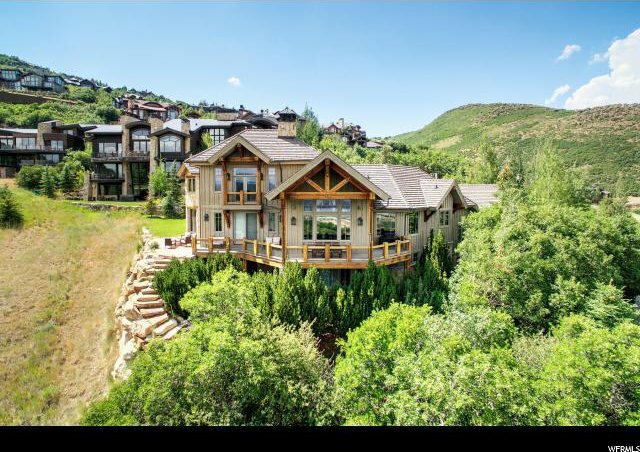 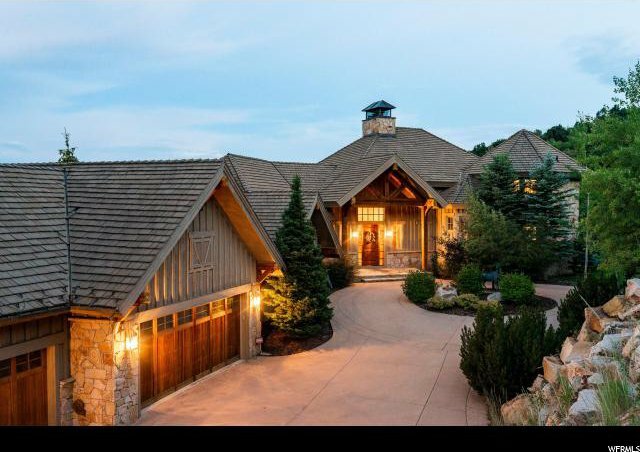 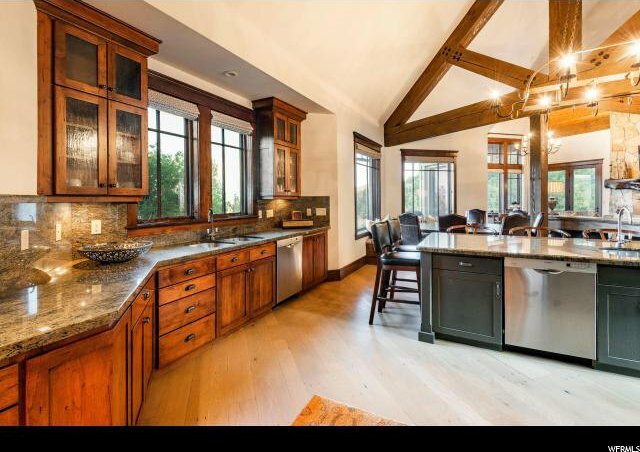 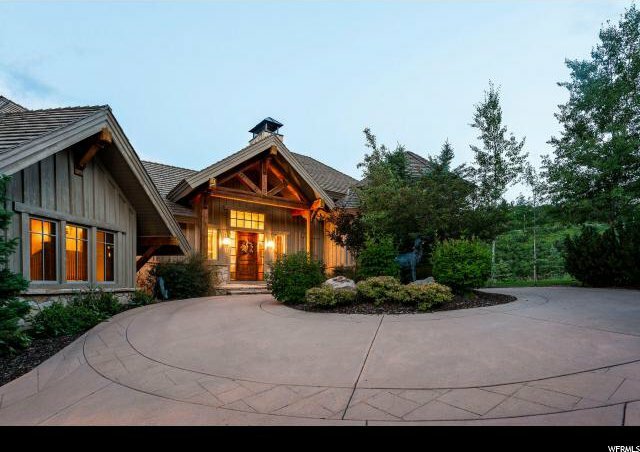 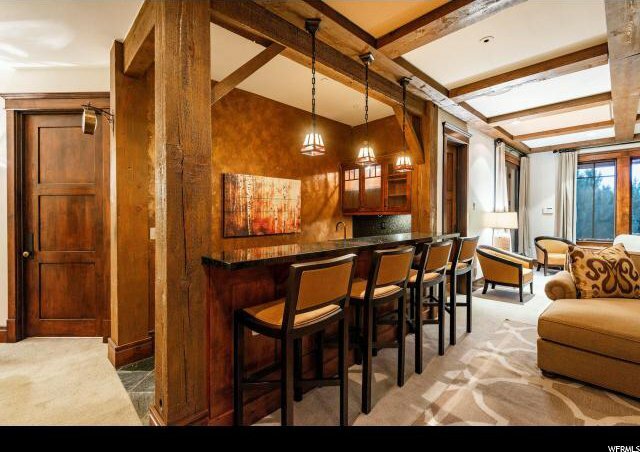 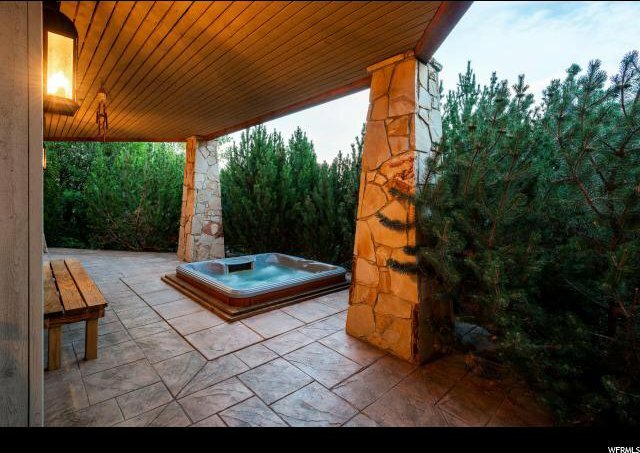 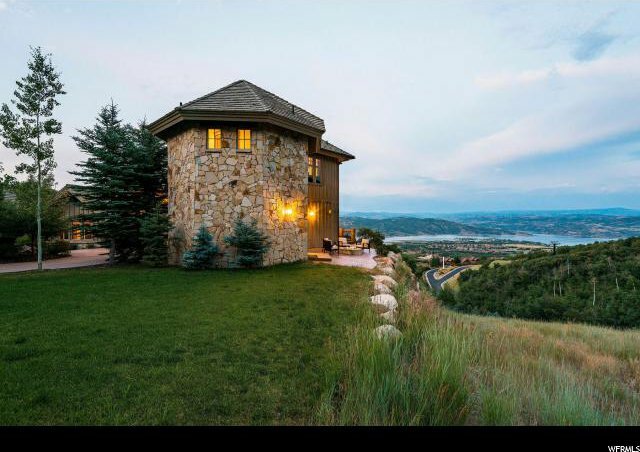 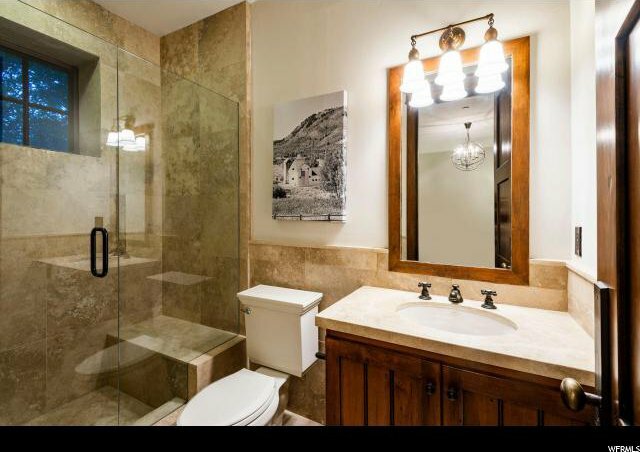 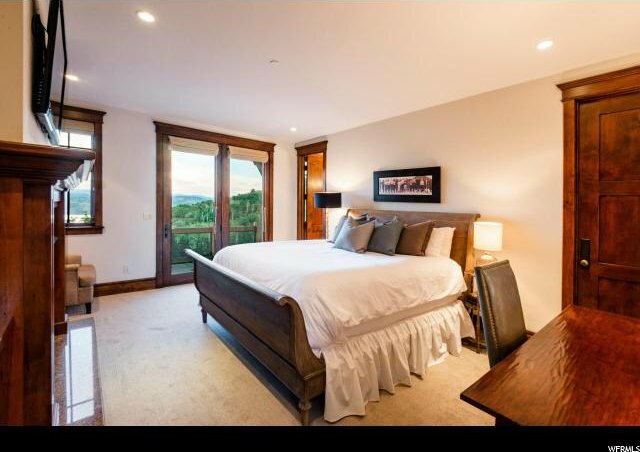 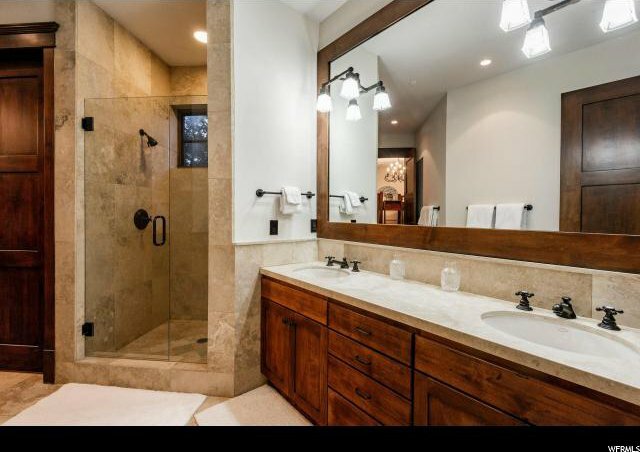 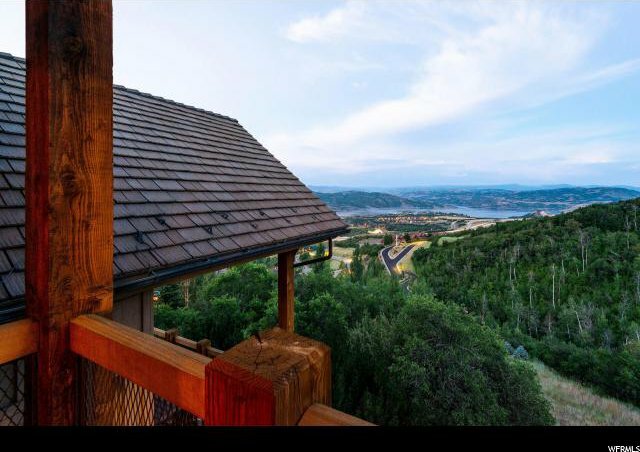 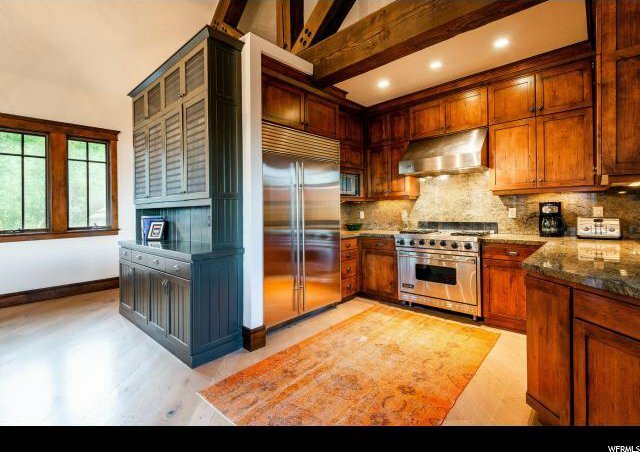 Step off of the ski runs of Deer Valley Resort directly into this 5 bedroom, 7 bath skiers retreat. 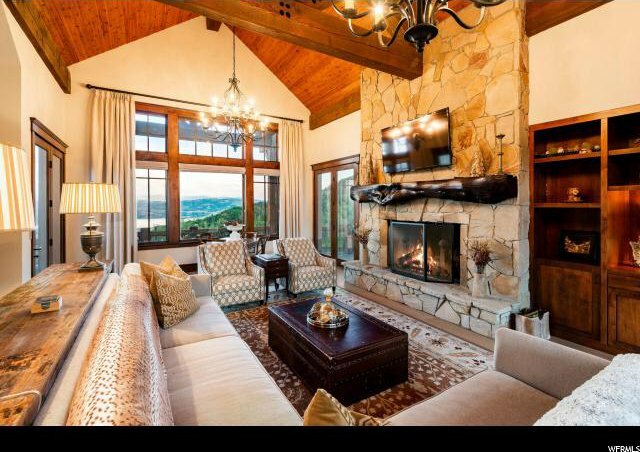 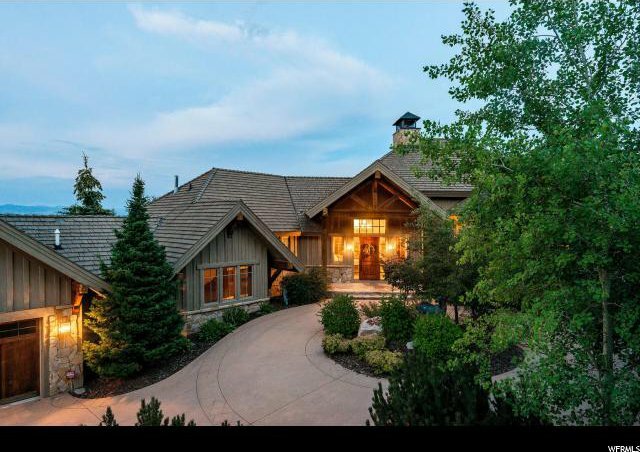 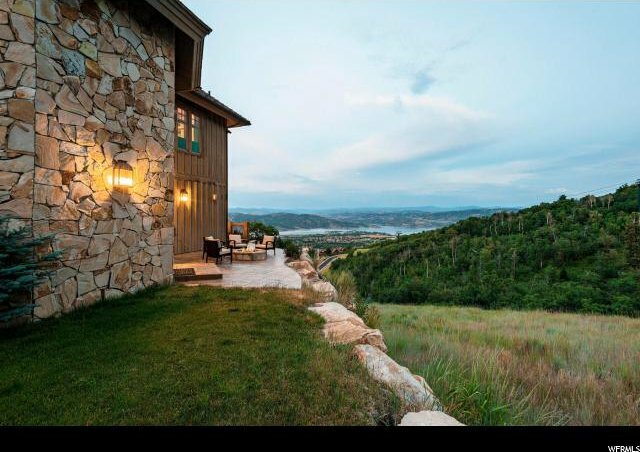 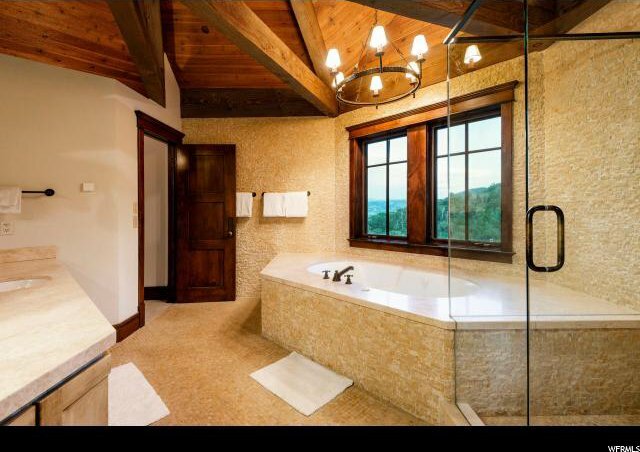 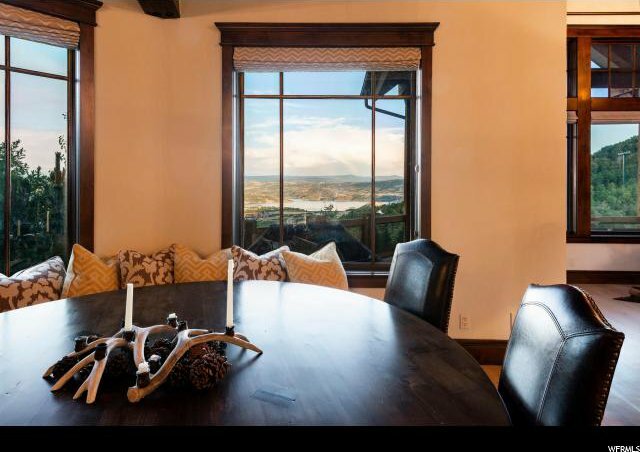 This timeless mountain-contemporary home in Deer Crest boasts ample space to entertain family and friends. 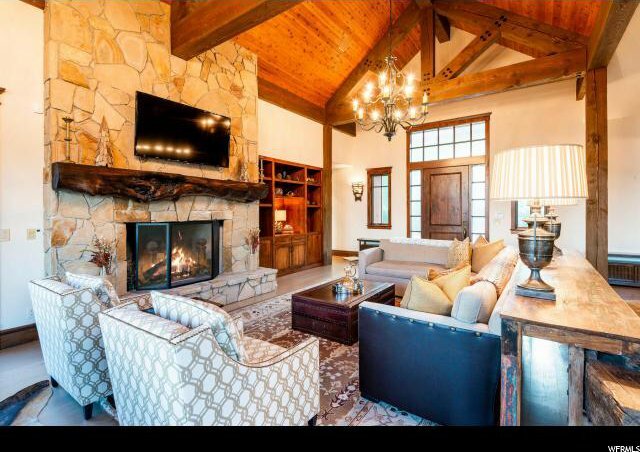 The spacious gourmet kitchen, outfitted with top-of-the-line appliances and ample prep space, flows effortlessly into a cozy dining space, and warm living room, complete with a roaring fire. 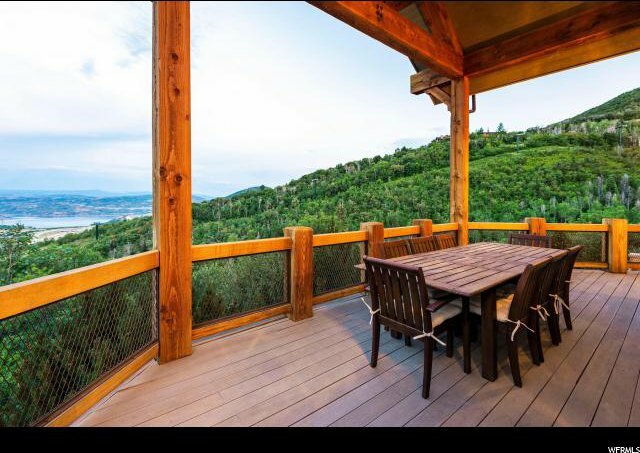 Enjoy breathtaking panoramic views of Jordanelle from the wrap around balcony, or lounge in front of the fire pit and watch skiers fly by. 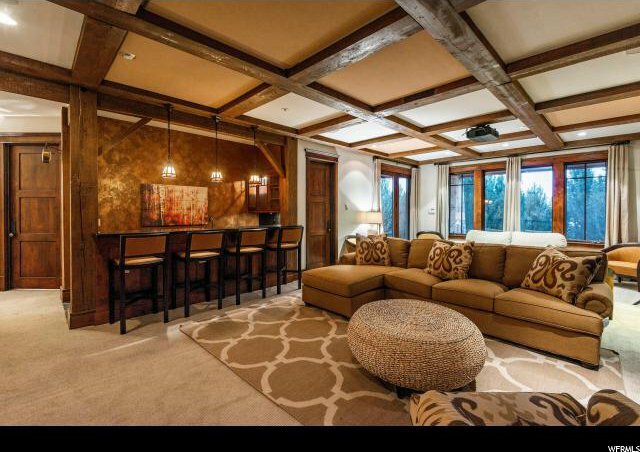 Head downstairs and unwind with a movie in the media lounge and popcorn or cocktails from the wet bar, or step outside to ease sore muscles in the hot tub. 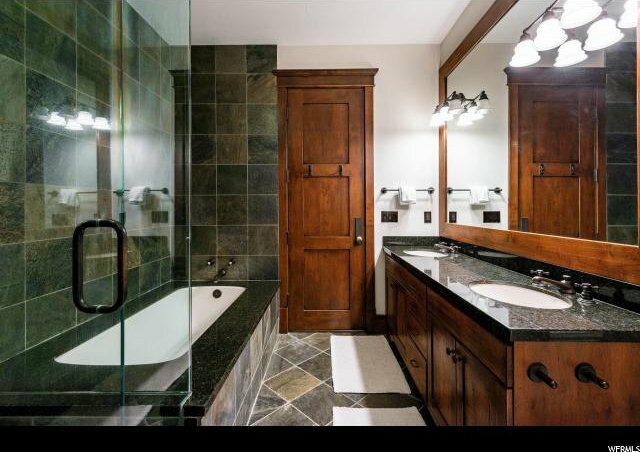 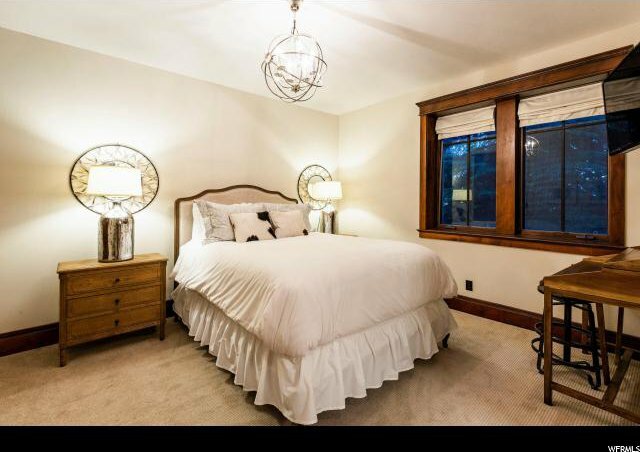 When it's time to turn in, retreat to your luxurious master suite with spacious en-suite bath and large walk-in closet. 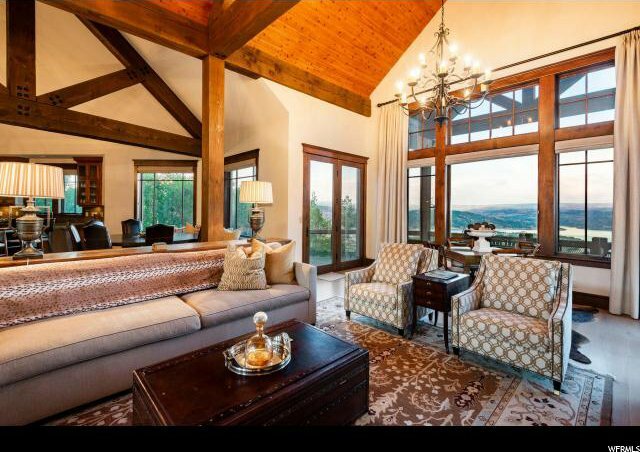 The vaulted ceilings and rich wooden beams perfectly compliment the soft lighting and stunning Jordanelle views for perfect balance of warmth and intimacy.